Dental emergencies are known for happening at the most inopportune times, yet they can still pose a threat to your oral health and cause significant discomfort if they are not treated promptly. As part of our general dental care services at Mitzi Morris, DMD, we realize the importance of providing trusted emergency dental care for the times you need us most. Whether you are missing work due to a severe toothache or your child chipped a tooth during a sporting event, we want to be your first call when you experience urgent smile concerns. We will do everything we can to see you as soon as possible, so that you can return to your day with a restored, pain-free and confident smile. Dr. Morris is a highly skilled and experienced dentist who uses a gentle approach in treating your smile. When it comes to your dental emergency, you can trust that our practice is equipped to address all types of tooth injuries and oral health problems with our expertise in restorative and cosmetic dental care. We offer everything from root canals and dental fillings to veneers, crowns and bridges. It is our goal to restore the function and health of your teeth, with an added emphasis on protecting the aesthetics of your smile as well. Crack a Tooth or Lose a Filling? A dental emergency can range from losing a crown or filling to cracking or breaking your tooth. While we want to evaluate all types of dental emergencies as soon as possible, there are specific situations that need to be addressed within the first 24-48 hours. If you experience extreme pain or infection, bleeding, swelling or injury to your teeth or gums, please call us immediately. Avoiding or delaying treatment can often worsen your pain and set you up for more costly dental procedures. 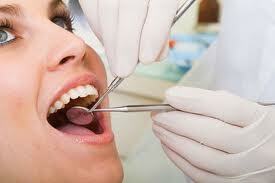 Other urgent dental situations, such as a cracked filling or lost crown, may not necessarily need immediate attention. However, please call our office promptly so that we can discuss your concerns and schedule your appointment accordingly. We can also walk you through any steps you should take in order to protect your teeth or dental restoration until you can be seen. At Mitzi Morris, DMD, we work hard to be a dentist you can trust at all times, whether it is evaluating your teeth and gums during a routine exam or providing immediate root canal therapy to bring you out of pain from an infected tooth. Regardless of the severity or cause of your dental crisis, never be embarrassed to contact us right away to get the treatment your smile needs and deserves. You will be met with compassionate and professional care; we guarantee it.